There is a rowing machine somewhere in the corner of your gym that you have not paid so much attention to. You want to blast your fat but something inside tells you to go with the treadmill instead of the rowing machine with the steel slide and the handle which pulls a chain. You prefer the treadmill simply because this is what you know the best. How wrong you are! First of all, If you want full-body workout, the machine you need has been in your gym all along. By avoiding the rowing machine exercise you are losing an amazing opportunity to blast your fat and burn your calories in the shortest period of time. During just a 30-minute rowing session you burn 300 calories and you do not even injure your joints as it happens with the treadmill or other high impact fat-burning sports. The rowing exercise is basically a low-impact cardio workout that is similar to rowing while you are sitting in a boat in the water. Your ultimate aim is to blast your fat and with rowing you do exactly that: you raise your heart rate, you get sweat and ultimately you torch your fat. In addition to burning your fat, rowing machines tone and strengthen your abdominal muscles as they give you a sculpted, ripped and muscular middle section on your body. However, in order that you get the most out of the rowing exercise you have to stick to some requirements that I am examining below. Why should you row to lose your fat? 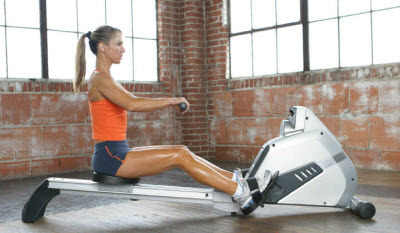 Rowing cardio exercise gives you quick and effective fat –losing results because it expects use to use your large muscles on both you upper and lower body. Let me put that in a more simple way: Rowing, as a full body exercise which demands the use of each and every major muscle group like back, chest, arms, legs and abdominals, burns fat in a much more powerful, direct and practical way that other cardio exercises. It is very common that when we think of losing fat, we think of jogging. However, jogging gets us easily tired as, we may not have the endurance or stamina to keep on running for too long. On the other hand, with rowing, we get away from the traditional aerobic exercises and as we are given the option to change the speed or adjust the resistance of the machine. This is exactly what makes rowing so special as a great cardio conditioning and fat-losing workout. How to row properly to blast your fat quickly and effectively? In the video below, you can watch a World Champion rower exlpaining how to properly use the rowing machine as a very beneficial cardio workout. He describes the proper posture of the body and the correct execution of each and every stroke in order that you make the most of this exercise. While rowing, for your maximum fat bursting results, you pay attention to specific parts of your body. Pay attention to your body posture not only to gain the maximum profit from this exercise but also to avoid any injuries, muscle strains or tensions. Your back must be in the natural arched position while you perform both the forward and backward stroke. On the backward stroke, your knees must be entirely straight before your pull the handle to your torso. 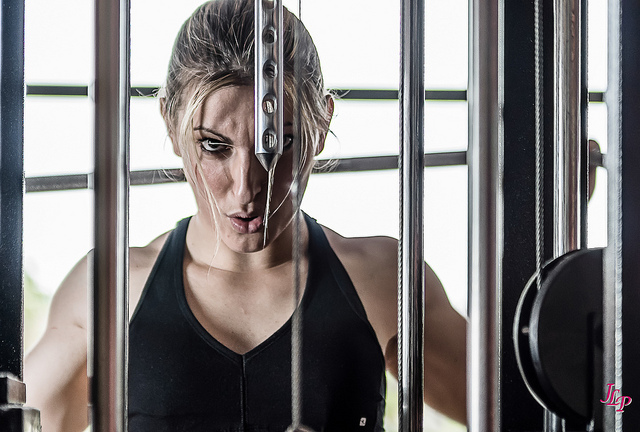 Give intensity to your rowing exercise. 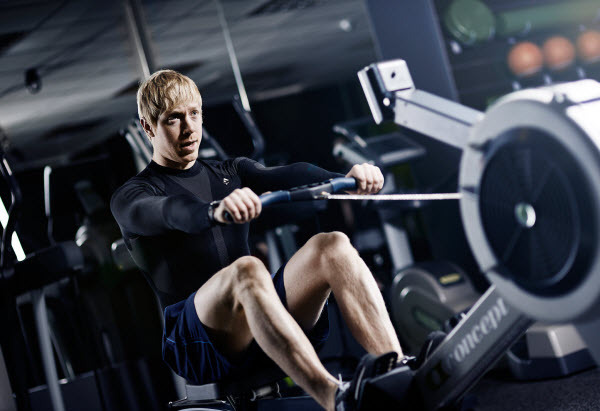 Execute the rowing movements at a relatively fast mode and Keep it up. Even if you feel that your heart is going to break, keep working out hard. If you want to torch you body fat quickly and effectively, you need to row at a steady pace. If you really want to push yourself to the limit and get quick and striking fat-burning effects from your rowing exercise, you can follow a 20-minute workout program which is based on intervals. While you are training with intervals you break your intensity back and forth between high and low. Actually, the interval training is designed to push your muscles throughout each interval and you also increase the fat-burning results while you are resting. You just boost your fat-burning process. Furthermore, high-intensity interval training can delay the ageing process. The rowing machine comes with resistance levels. You can either turn up the resistance level or row at a faster pace when the resistance level is low. Example 1 of interval training: Set the resistance levels at its highest. Perform sets of 10, 15 and 20 strokes where you put as much force as you can. You slow down your pace for 60 seconds where you put medium effort. You repeat the intervals for 20 minutes. Example 2 of interval training: Set the resistance levels at its lowest. You row really hard for 1 minute. You slow down for 60 seconds while you put the 50% of your full effort. You repeat the intervals for 20 minutes. "Navigate here for free muscle and strength promo codes".